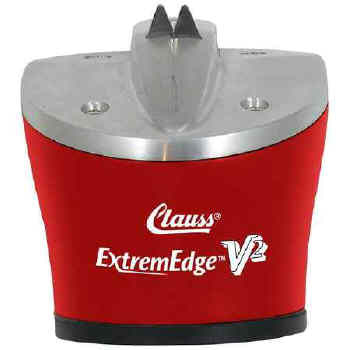 ExtremEdge® V2 Knife & Shear Sharpener puts a razor edge on knives and shears—fast! It utilizes tungsten carbide to hone edges on knives and ceramic to keep shears sharp. It's safe and easy to use, too, offering one-handed sharpening thanks to its suction attachment to flat surfaces.